It’s been a little while since I read an anthology manga. The 4 Koma chapters seem reasonably entertaining and certainly better than other gag titles like Rock Lee. 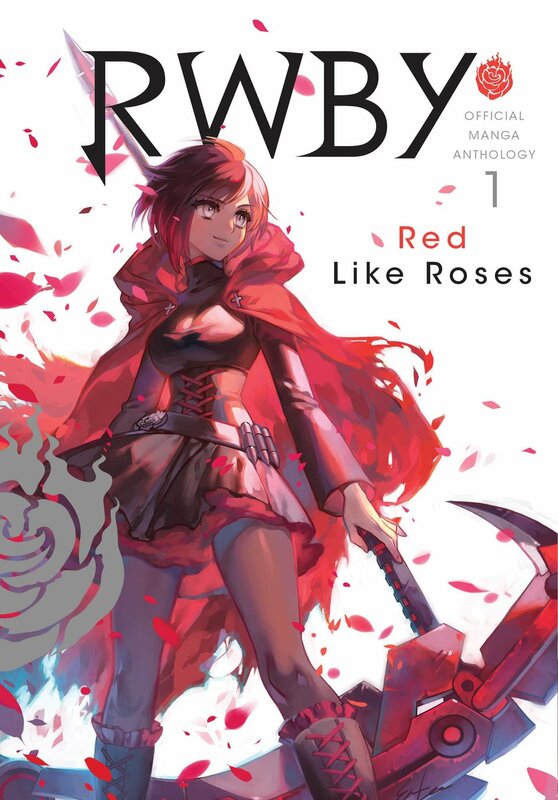 I’ll review it when they stop coming out with the chapters, but since each installment is only 1 page I get the feeling that this could last for quite a while. I’m waiting for Roy to show up at this point. It’s time for a horror anthology. If there are any two words that should strike fear into your heart, it’s those last two words. Horror films don’t have a good track record and the same can and will be said for anthologies. Merging the two results in a lot of opportunities for the film to get ruined. Unfortunately this one is no exception and you’ll find yourself wondering what the point of this film was. The first of the shorts is easily the best one, but that’s not saying a whole lot. The first segment sees Lenora get home. She has visited her father to guilt trip him one last time before she moves away. He doesn’t want to see her because he blames her for the death of his wife. They argue quite a bit with Lenora constantly explaining how she never should have come here and her father insulting her. Eventually the ghost of her mother wakes up to murder Lenora and then take down the father. They all die together in the mansion. It’s a pretty somber ending to what was overall a somber special. The whole time you just have to wonder why Lenora would possibly want to come over. It’s well known from the start that her father had never even talked to her because he was so upset at what happened in the past so it all came off as rather strange. I couldn’t understand Lenora’s motivation here. Even worse is the fact that she made sure to come after the last bus had left so she would be stuck there for the night. It’s almost as if she came over purely to start complaining and egging the father on into doing something he might regret. I thought the film was going to have him murder her which would have been super dark so I’m glad they didn’t go that route. It was the best special of the 3, but that’s really not saying much at all. The 2nd segment is about a drunk guy named Montresor. He is always mean to his wife and cat (Points deducted instantly!) and keeps on stealing money from them. He doesn’t care if they starve as long as he gets his beer. He breaks into a wine testing convention and manages to snag 2nd place. Fortunato doesn’t like being humiliated so he quickly gets together with Montresor’s wife in secret. Montresor finds out and murders them, but luckily the cops come and put him away. Another rather grim story and one that is completely unenjoyable from start to finish. I don’t want to see the cat getting threatened with murder and being thrown around the whole time. Those scenes are just terrible and the cast puts up with Montresor the whole time. Why isn’t the guy in jail yet? It’s all rather hard to watch as you are tempted to go and rent something a little classier at the special is playing. Sure, they caught Montresor but only after he murdered the two of them. Justice was a little late to say the least. The sad thing is that this wasn’t necessarily the weakest story as the third one also gets a little dicey. The third story probably has the least intelligent characters of the bunch. An old guy is on his death bed and agreed to let a scientist hypnotize him at the very end. The experiment is to see if the hypnosis can prevent his death for a little while. The scientist quickly launches into his experiment and sure enough, the old man won’t die. Finally the living corpse begs for death, but the scientist merely laughs. Months pass and he is still forcing the corpse to live. So in this time…everyone just allowed that to happen? Geez, some friends. The main heroine then decides to confront the scientist on her own even though she knows that he is dangerous and criminally insane. Her friend even comes along with his gun to protect her but she tells him to leave and then locks the door. In the most predictable move ever, the scientist then decides that he’ll take her by force and she’s only saved when the corpse wakes up and murders him. That still has to take the cake as one of the worst decisions out there. Why would you knowingly put yourself in such a terrible position. Going 1 on 1 with someone far stronger and confirmed to be dangerous? Clearly this heroine wasn’t very smart and the low quality attempt at creating tension in the film was just pitiful. Overall, This film was pretty bad. 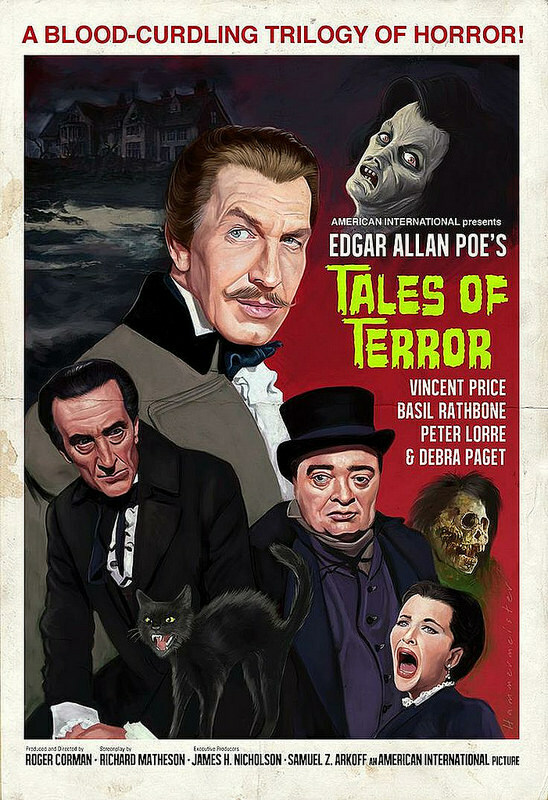 I’m pretty confident now that Edgar Allan Poe’s stories are not nearly as good as you’d suspect from his reputation. I’ve now seen two anthologies based on his stories and they were both pretty dreadful. They’re just not good and while making good horror stories is difficult, it can be done. You just have to construct quality stories with no short cuts or characters making terrible decisions. It shouldn’t be a story about everyone dying just for kicks or to see the spirit slaughter them all. A good story should give the heroes a chance. Sad endings definitely can work as well so long as they have a purpose. This film just didn’t have one and comes across as incredibly mean spirited the whole time. So, like pretty much every other Roger Corman film, you’ll want to skip this one. It’s time for a rather odd Pokemon adventure. Do you guys remember Pokemon Conquest? It came out quite a while ago and it was always an interesting concept. The game didn’t really look like it was my style but who’d have thought that the Pokemon characters would go back to retro China. (Or Japan, one of those) Well, it got a one shot manga to bring in the hype. Unfortunately, it fails for the most part due to not having a plot or any really good fights. There are 6 chapters and they all have some kind of story going on. One of them has Nobunaga, the famed Devil King show up because he wasn’t invited to the party. Some of the heroes get him to come anyway though and they all have a fun party. There was a story with someone being tricked into thinking that Pokemon could evolve into food and training to surpass the guy. There were some comic relief characters who went intro the mountain, etc. You get the general jist of the story. That’s not to say that there was absolutely no action. It was just kept in the background throughout and any action we got was quite brief indeed. 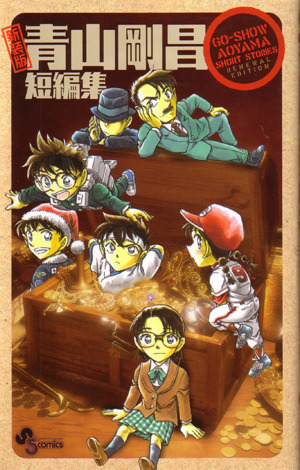 What also holds the manga back is the artwork. Honestly, I thought it was rather sub par. Perhaps being in color made it that much easier to notice its limitations or if we’re being honest, maybe it just wasn’t very good to begin with. That may be more likely to be honest. It doesn’t seem as if the artist wasn’t skilled though. This seems like it was some kind of style and it just didn’t work well for me. It is neat that the whole thing is in color though, most manga never really get the color treatment. The characters were okay, but all of them were rather generic. They all had personalities and yet they were completely forgettable. It was just fun trying to see how many names I remembered from the Sengoku Basara anime. 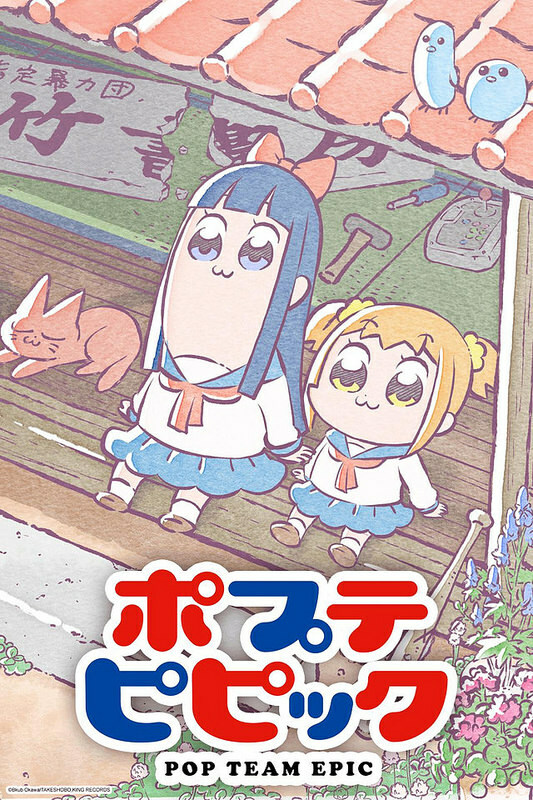 Of course this version of the characters are certainly very different from the anime so it is really just them in name only. You won’t really have much to say about any of the characters by the time you’re done. This is one of the many weaknesses of the anthology format. You barely get to really meet any of the characters since they appear and disappear so quickly. The series not having a plot doesn’t help either, but there’s only so much you can expect from a one shot right? I don’t want to be too harsh on the title as it is pretty short so there’s not a whole lot it could have done. There’s nothing downright bad about the manga so that is actually a good start. The worst aspect is the art and even that isn’t unbearable. The main problem is just that the title is boring. That is pretty serious, but it won’t automatically make this a bad manga either. I certainly don’t see myself getting the game anytime soon though. 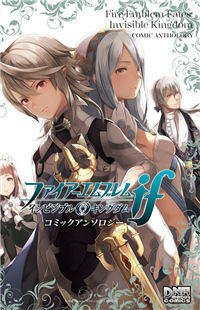 I’ve warmed up to the Fire Emblem style of combat, but not quite enough to buy a full game just yet. I also have to admit that I’m not a big fan of the Sengoku cast in general. The anime/main series games are the only ones that have made them interesting. As much as I like the gameplay in Dynasty Warriors and Samurai Warriors, the plots are extremely boring. 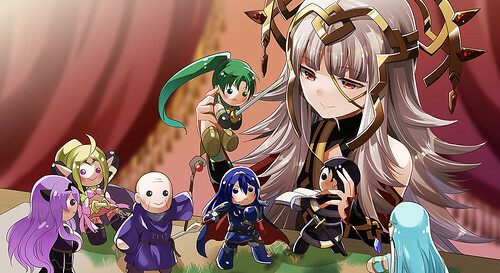 I wish they had used the anime versions for this crossover as I guarantee it would have made the manga a lot more enjoyable. I almost hate to say this next part, but I would have even preferred it if the manga had added an original character to the mix. A random kid from Tokyo or New York or something who has a Pokemon and travels to the Dynasty Warrior era. That would have made for a much more enjoyable time than everyone randomly having Pokemon, but not doing a whole lot with them. It says something when Natsume’s Book of Friends is more emotional and entertaining at the same time compared to this one. I think the series did try a little though as each chapter was over 50 pages. That means it’s roughly a 300 page series which is pretty good even if all of the “pages” are extremely small. Maybe the format was just built that way, but it feels like someone divided each page into 3 different pictures to make it look more impressive. I’ll assume this wasn’t the case as that seems just a little bit sketchy if you ask me. 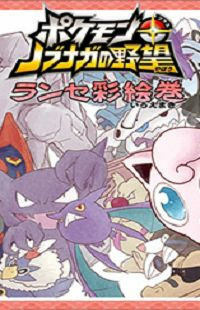 Overall, This Pokemon manga is one that will likely be forgotten by everyone almost instantly. It is very short, has no plot, and the art isn’t very good. There are just no real reasons to actually sit down and read it except to add it to your collection of manga titles that you’ve read. I don’t recommend the title because it just comes across as pointless. That being said, if you do read it you can at least take solace in the fact that it didn’t really do anything wrong. It didn’t do anything right, but that’s just how it goes. I wish they’d go ahead and finish scanning the Reburst chapters. Now that was a Quality Pokemon series that even rivaled Adventures. It’s time to look at my first pure comedy anime as well as the first one to take an anthology style to it. Unfortunately I wouldn’t say that the mix worked too well. The series got off to a rocky start but was able to at least balance the ship by the end. It’s not the best one out there, but you’ll be used to the characters by and end and will have had a fun ride. The plot follows a group of teenagers as they go through the various years of high school. Tomo and Yomi are already friends when the series starts, but Sakaki is a loner. The situation changes up when a little girl by the name of Chiyo shows up. She is a prodigy and got to skip enough grades to make it to high school. Another transfer student nicknamed Osaka also joins up. With the gang together, they can go on many adventures and try to achieve glory in the sports fest! Lets quickly go with why the show had a rocky start. The anthology format is a huge warning bell for me because I just don’t like it. The concept of an anthology just sounds like a bad idea as each story is so short that you can’t fit much story into it. Some of the episodes here were split into 5-6 parts so each one was only 4-5 minutes. At first this was very jarring as nothing would happen and the segments felt like they had nothing to do with each other. I also think the writers didn’t know what to do because they acted like each 5 minute segment had to be as contained as possible. For example, if a segment had a joke, it would just keep on getting repeated and drawn out for the whole time. The show tried to limit itself to one main gag in the segment. It would even recycle animation and use a ton of stock footage to literally repeat the gag. Another thing is that one of the few aspects where anime may lose to Western animation is in comedy. Westerns seem to prefer snappy dialogue as comedy with characters just rapid firing a ton of puns and subtle burns while anime really like having a perverse character say something crazy and then everyone either blushes or starts yelling at him. The former can be great while the latter is absolutely never funny. Daioh actually has a big problem trying to be funny throughout. I feel like the vast majority of the jokes didn’t work because either they were never funny from the start or they were dragged out way too long. That’s why it couldn’t really pick up til the second half where it started to get more of a plot or at least longer segments. For now, one last problem is that the series is extremely low budget. I wouldn’t be surprised if the series originally debuted as 5 minute shorts behind various shows and was eventually compiled into a series. It would actually make a lot of sense with how I said that each segment limited itself to effectively one scene/joke. I don’t think I’ve ever seen a show with as much recycled animation as this one. The animation can be decent at times, but usually it is satisfied with as few motions as possible. You’ll notice a lot of times that if there are two characters on screen only one will move at a time. If two are talking on screen, they’ll each only use one mouth animation which continuously loops. So, I think the show just didn’t have a budget. Sure, there aren’t any action scenes so I guess it didn’t need much of one, but it should have at least gotten enough to reasonably bluff through it. Now, here’s why the second half was better. For starters, they gave Kimura a shorter role. Kimura was one of the reasons why the humor was hit hard as his moments were just really bad. He would make scenes tougher to watch by making inappropriate comments and pointing attention to what the characters were wearing. He took advantage of his position constantly so he could be around. The show didn’t really have much in the way of fanservice but by going to the pool and trying to create it, that sort of defeated the purpose. The fact that he is still a teacher is appalling and every scene with him just reminded me of this fact. He was never completely written out, but he didn’t do a whole lot after the opening episodes. After that, the only iffy moments left where when the characters would have quick remarks about someone’s chest and those were slight in comparison. While the show show is pretty fun for the most part, he made it hard to enjoy the early episodes. As I said those just had issues with pacing and writing, but they certainly didn’t need more problems. Without Kimura the show would have definitely jumped up a star and possibly 2. The next reason why the second half was better is that it had less segments. Episodes would be able to have a longer plot and the segments actually did continue from each other. The characters finally had goals like getting to college or studying for it. The last few episodes were all consistent in this regard. The show also stopped relying on one joke since it had plot to cover. Most of the characters stayed pretty much the same throughout the years, but Sasaki got a considerable amount of development by the end. It was a little hard to like her at first because she is extremely quiet and spends 90% of her time blushing at various animals or anything that she finds adorable. It’s cool to like animals, but it just made for a very limited personality. By the end of the series she starts to speak up more and blush less. She becomes a lot more open about playing with the animals and had a nice bond with Chiyo. She stuck up for the kid during the final sports fest when the other teens started to mock her. It was a nice friendship between them. Chiyo is effectively the main character even if she doesn’t always feel like it. She’s rich and a genius so that makes it easy for her to be at the top of this class as well. She’s probably the nicest character of the group and constantly tries to get everyone to get along. They make it difficult though since bickering is what they do best, but all in good fun. Chiyo invites everyone to her summer home each year and is certainly popular in the classroom. She gets traumatized after a certain car trip and doesn’t do too well at the sport competitions since she technically is just a kid but Chiyo always tries her best. She’s a nice all around character. Osaka is a total space case as she can’t think about something for more than a minute. As a result her mind is always wavering and she says random, abstract things at times. 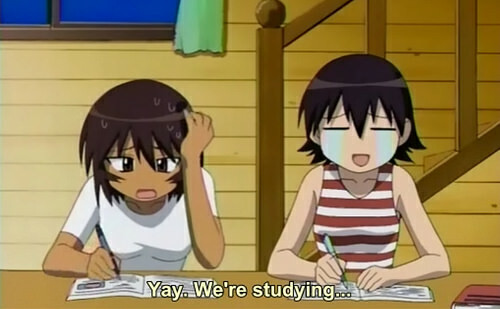 She finds studying to be pointless because she won’t remember what she looked at anyway. Osaka is a nice enough character. She’s one of the weaker members of the main cast, but she is a nice contrast from the others. I also like how bold she is like when she decided to take a nap right after getting to Chiyo’s place even though everyone was supposed to study. Tomo is one of my favorite characters. She was surpassed by Kagura by the end, but Tomo always kept it close. Tomo is very loud and overconfident. She doesn’t do well in school but brags about it instead of stressing. She’s constantly sabotaging the team and failing to win when it counts. She’s effectively trolling the main cast throughout and even rubs it in when something goes wrong for the others. She has fun teasing them all but it encourages the team to try harder. It was infinitely satisfying when she got accepted to college before Yomi since the latter had constantly insulted her and studied so hard. You don’t need to study when you have good intuition ya know? Tomo certainly made all of the interactions more fun. Yomi is the most boring member of the group. She effectively plays the straight man in this series as she doesn’t understand any of the jokes and is always wondering what everyone is doing. She studies hard and doesn’t mess around like the others. Yomi tries to act mature for her age and everything but as a result she never seems to really have any fun. This act that she puts up also results in her getting sick before the big amusement park vacation so that one was really all her fault when you think about it. Kagura is the best character and it’s mainly because of how competitive she is. Kagura is always trying to surpass Sakaki. Honestly it’s like the whole Goku vs Vegeta thing, but even more sad. Sakaki never actually trains or exercises at all while Kagura trains 24/7. Yet, Kagura can never manage to beat Sakaki….at anything. Kagura really deserves the win, but at least she continues trying and never holds it against Sakaki. She’s actually happy when Sakaki wins as it means she just needs to train more. Kagura didn’t become a main character until the first time skip in the series, but from then on she stole the show. She’s essentially Tomo if Tomo was actually good at something and is a little less extreme. She certainly doesn’t mock the others or try to sabotage anything. The two of them do get along quite well though as they both aren’t great at school work. I guess Kagura couldn’t be perfect at everything right? Kaori is sort of one of the main characters, but she always got the shaft next to the others. Her role is just a whole lot smaller and in the second half her only role is to get harassed by Kimura. I never liked her though as her subplot is that she is admires Sakaki and has a hard time trying to talk to her. It gets old before it even begins. Finally we have the two teachers. Yukari is the main one. She doesn’t like being a teacher and doesn’t hesitate to let the kids know this. I dare say that most of her scenes are the ones that are legitimately funny. At least most of the examples I can think of involve her in some capacity. She’s effectively terrible at her job which is her character arc. Yukari is definitely crazy and she doesn’t mind manipulating her students if it will let her win the contest. I can respect her drive to win even if it’s always hard against Nyamo’s squad. An example of one of the jokes that I did like was the donation box. The kids forgot to get Yukari a gift and she was pretty obvious about it so the gang decided to bring her a donation box and then they would throw nickels in it. Yukari didn’t take it well, but it was a pretty fun scene as everyone approached the box very grudgingly. A scene that was more random than anything was when this cat creature would appear. He claims to be Chiyu’s father and only shows himself once in a while. He may have some special abilities, but he’s so abstract that you don’t really need to worry about him. 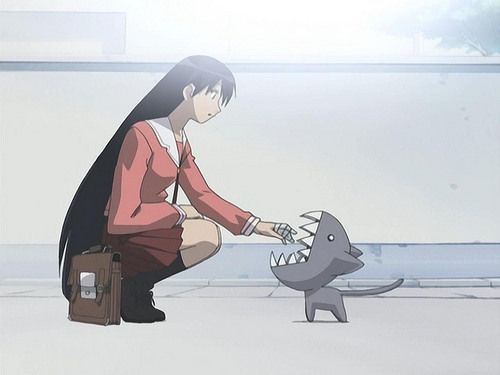 One big plot that actually had an ending was the cat that would always bite Sakaki when she was in the neighborhood. She certainly fell for its tricks many times, but only once at the end. Fortunately she got her own cat guardian which stopped the bullies from messing with her. I guess the cat was just a mean person because even at the end it seemed to have a grudge with Sakaki. The gag was a little overused in the early episodes, but it was handled a lot better by the end. I also am glad that Sakaki got her own cat since it really helped give her some kind of payoff for being bitten so often. While the animation was quite limited it did have some good shots. I liked the chibi style it would use when characters gave a thumbs up or be in the background agreeing on something. Their arms would turn into noodles at times and it was a better effect than in some other shows. It doesn’t really make up for all of the stock footage but the actual animation certainly wasn’t bad. It may be more that the character designs were simply solid, but it’s hard to say. The soundtrack isn’t very good though. It’s also quite limited/repetitive and I would have liked a little more variety. Even if the comedy may not always have been on point, one thing you can say for the series is that is was pretty much always fun. The negatives I have with the show don’t involve language or being super dark/violent. At the very least you can always leave the show feeling happy since it is so lighthearted. It’s one thing that I always like about uplifting shows because they should be enjoyable to watch. The characters are always having fun even if things don’t really work out. If there’s any reason I’d recommend watching it, this is the main one. To that end, I actually do tend to like slice of life shows. Sonic Boom is a great example of one that’s currently airing and to date it is the best in that genre. It perfectly pulls it off every episode and I dare say that it is the greatest comedy of all time even if that is a little bold. The show hasn’t ended yet so we’ll see if it can keep that up. 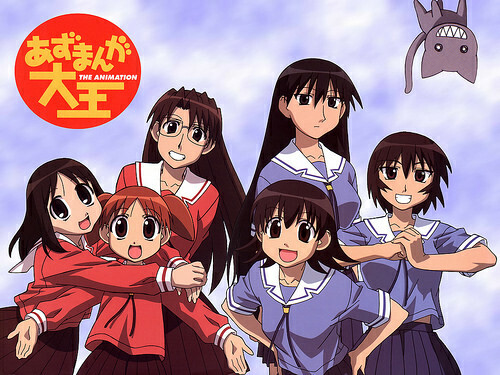 Overall, Azumanga Daioh was somewhat limited from the anthology style it had, but I suppose it was to be expected since the manga was close to a 4 koma at times. Still, with full sized episodes I think it would have been more fun. The cast was solid though and even if you’re skeptical of the show at first you should be able to get on board by the end. After all, that’s one of the points of being a full show, by the end you should be used to the characters which will make the series more enjoyable. You’ll see the characters develop over the 3 years they’re at school so surely you’ll be a fan of at least one by the end. I always leave this one for last because it doesn’t look very interesting. I’m not a big fan of anthologies in general either so mixing these two elements together is a nice recipe for disaster. Still, maybe it would surprise me right? The first story certainly didn’t as we start the comic off on a low note. The plot is that a mouse wants to leave his village because he’s curious and a wise animal tells him about how everyone who crosses the woods…dies! Cats live out there after all and mice can’t do anything about it. Ah well, the mouse decides not to cross. The art was pretty bad and the story tried to be rather gritty and serious. No fun was to be had here and I certainly won’t be checking out the trade. The next story was about a girl who is opening up a restaurant in monster world. Unfortunately, nobody wants to help her except a very entitles monster who doesn’t care about the business. She just wants the paycheck and isn’t afraid to say it. Again, the art is very underwhelming and I don’t see this series being very fun. 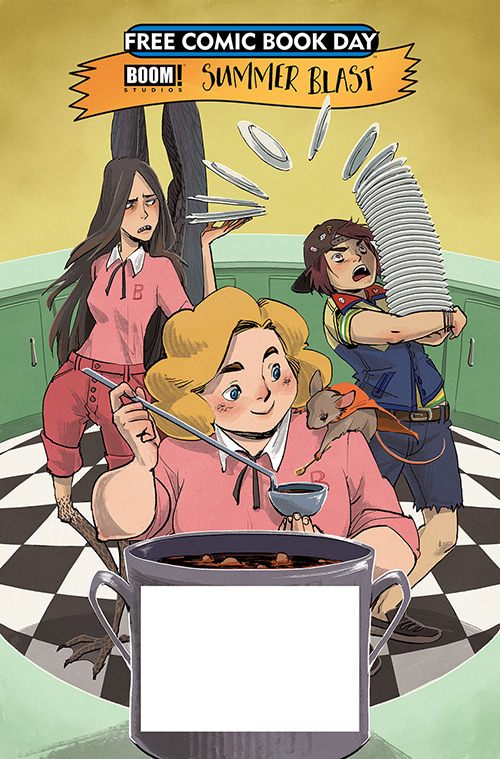 None of the characters are likable and the premise will get old after the first few pages. It’s easy to see why so many comics are cancelled before they really got to run. They just never had a chance in the first place. Overall, Boom lived down to my expectations as always. If there’s one thing you can count on from this free comic, it’s consistency. The only good thing I can think of in this comic is the Pac-Man image on the wall in the final story. I gotta admit, that was pretty classy. Still, there’s no reason to read this issue since you won’t be checking out any of the 3 series anyway. You should just get going while you can and stick to Marvel/DC for now. If you want to branch out, then read some old Mega Man or Sonic comics since both of those aren’t exactly hitting it big at the moment. Looks like another anthology is being scanned. 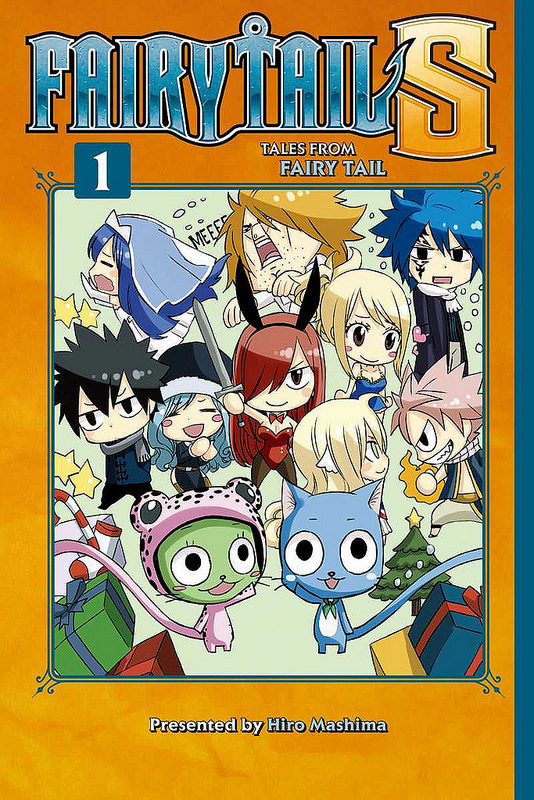 I’ll have a review for the series when all of the chapters have been scanned. It’s off to a decent start as the art is good and each story seems like it’ll get a decent amount of pages. Hopefully it can keep it up!